​Slavisa Jokanovic admitted his future at Fulham is out of his control after the Cottagers fell to a 1-0 defeat at Huddersfield on Monday thanks to Timothy Fosu-Mensah's own goal. Jokanovic was under intense pressure following five straight defeats in all competitions and his side's performance means he remains among the favourites to be the first Premier League manager sacked this season. 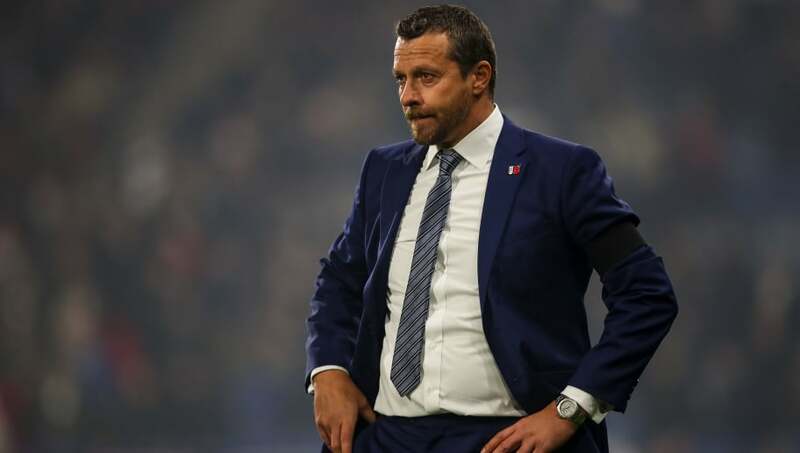 Speaking to ​BBC Sport after the game, Jokanovic urged his side to be brave in future matches but stated it remains in his players' hands to turn the current state of affairs at Craven Cottage around. He said: "We're disappointed we didn't play well enough or show enough intensity, especially in the first 45 minutes. "We found some improvement but it wasn't enough to equalise. "They must fight - this is a tough competition. There are 27 games ahead of us, we didn't show a positive reaction and we must be brave and look for improvement. At the moment it is not enough at this level and it's in our hands." Speaking on the current speculation surrounding his future as ​Fulham manager, the former Watford boss admitted he can only look ahead to the next game. He added: "This is my job, that is it. I know in this kind of situation many things can happen but it is outside of my control. I will follow my plan and work with the team. I must find the solution and other people, if they need to say something they can use some words. "We know we can play better, show more intensity and be more solid and win the game."